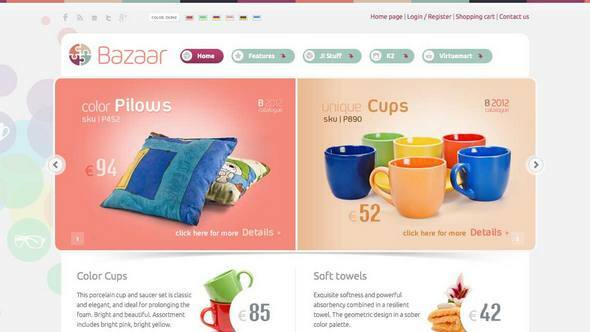 Bazaar is necessary for e-shops because of its plain and fresh style. The products can be classified such as sunglasses, hats, plates, pillows, house equipment etc. The template' s vivid colours, are influenced by the spring. The contrast between them can make your products more attractive. Bazaar is compatible with K2 and the latest version of Virtuemart. It is also available in 6 colour skins and suitable for the most of e-shops.